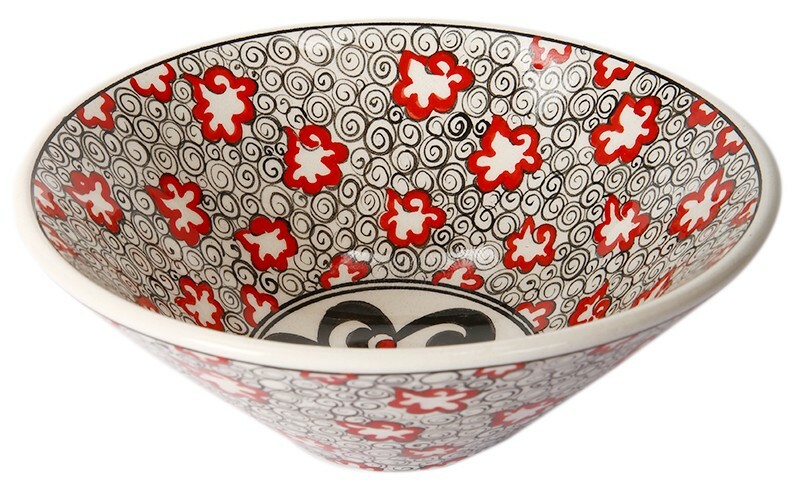 Helix patterns seen on the classic Kutahya pocelain bowl were modernized, designed and hand-made by the artist Zeynep Tişkaya. The bowl was lathed in one piece. It is a one piece product and may be produced upon request. 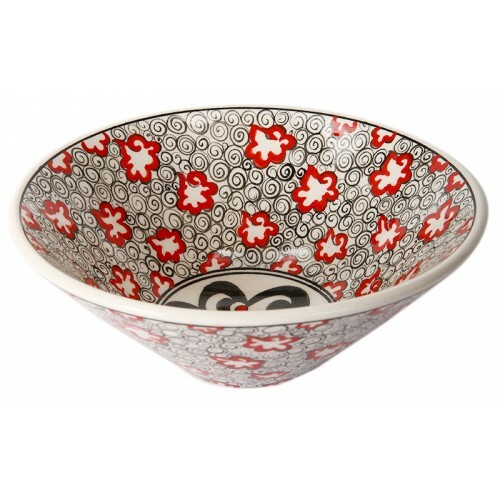 Material: the product was made of ceramics and is ideal for eating-drinking. Dimensions: Height 7.5, diameter 21 cm. Zeynep Tişkaya has graduated from Anadolu University Kütahya Vocational School Ceramics Department. She worked in several workshops in Kütahya during her studentship and afterwards. At the university, she made special design ceramic studies with her professor Faruk Şahin. The artist who graduated from Hacettepe University Faculty of Fine Arts Sculpture Department in 1999 submitted her thesis of 18th Century Kütahya Ceramics and Ceramics of Galata Surp Krikor Lusavoria Church to the History Department of the same university. 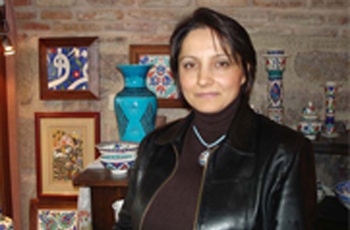 She opened her first boutique store in 2005 in Çengelhan Rahmi M.Koç Museum in Ankara. Having participated in 3 personal and 3 collective exhibitions, the artist provided training in her work shop to those who wanted to learn the art of ceramics. The artist who used classical materials along with her ceramic products intended for daily use, settled in İstanbul in 2012. She continues to her works and provides private lessons in her workshop in Galata.